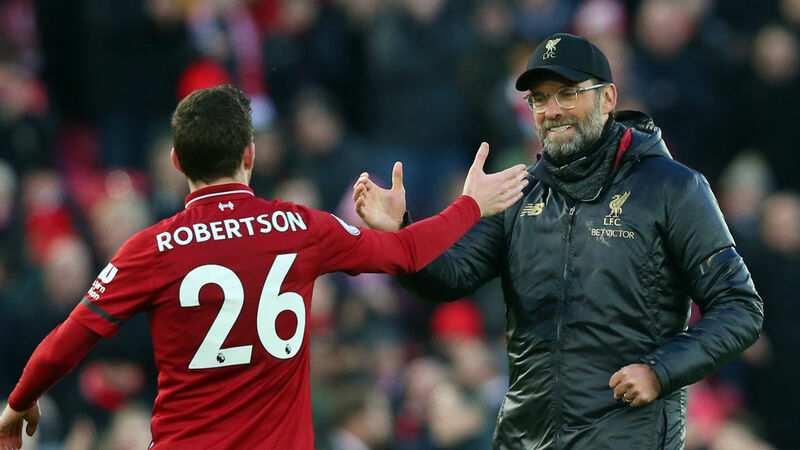 Liverpool's 29-year wait for a league title could end in 2019 but assistant manager Pepijn Lijnders insists the Reds squad are not feeling the weight of expectation. During the 1980s Liverpool were the dominant side in English football, but their success in the 1989-90 season was their last top-flight title. Chances have come and gone since then, with three second-place finishes in the Premier League era, but they look ready to take the next step in 2018-19. With 12 matches to play, Liverpool sit level on points with leaders Manchester City and have a game in hand, leading many to back Jurgen Klopp's side to finally end their barren run. Some have suggested Liverpool players could struggle the weight of expectation, but Lijnders does not believe that will be an issue in the title run-in. "I think the most important thing is that we feel excited, that we don't feel pressure, that we did a lot of hard work and that we prepared ourselves for these moments," he told the club's official website. "It is a crucial period where we have to keep searching for the next step – and if we keep focusing on ourselves, on how we want to play, how we want to develop, how we want to put each team under pressure, then the results will come by themselves. That's important. "It's a big chance, nothing more. We want to deserve it. "I feel that the team is ready to play against whatever team, wherever, and that we can create problems [for the opposition] because of this. "We need to use training the best we can, we have to really be prepared for the games in the same manner. That’s it. I am pretty convinced we will find solutions again and again."